Hyacinths Aiolos is a pretty White cut flower. It is approx. 30cm and wholesaled in Batches of 50 stems. Hyacinths are a genus of the Hyacinthaceae family and were originally native to the eastern Mediterranean, west Iran and Turkey. 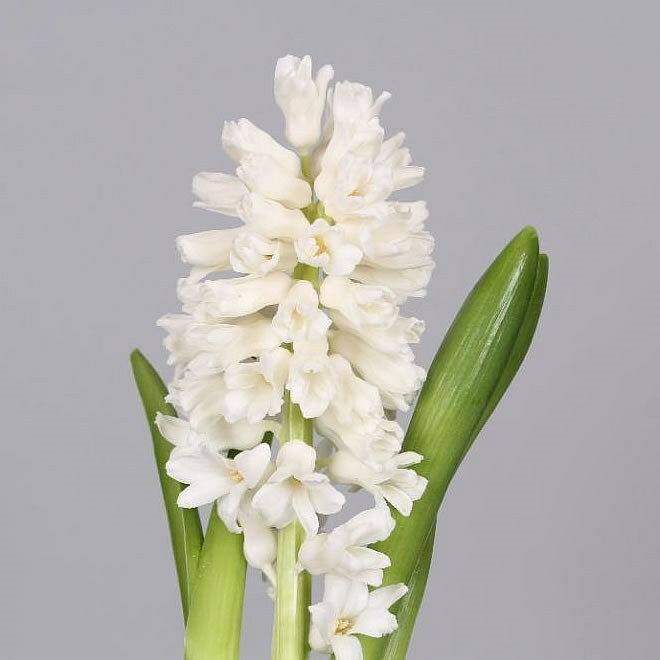 Now mostly grown under glass in Holland, the hyacinth has a dense spike of fragrant flowers and comes in shades of red, blue, white, cream, orange, pink, lilac and yellow. The hyacinth is also related to the Grape Hyacinth, otherwise known as Muscari.